Buy crocus Bulbs Online : Cheap Spring, winter, autumn Flowering Bulbs : Herts and Essex Garden Centre. Crocus Flavus yellow are clump forming bulbous perennial plants. 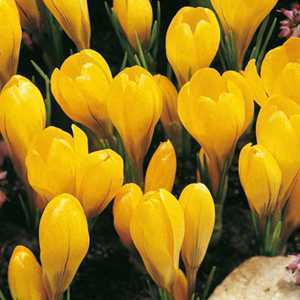 The Flavus Yellow is a richly fragrant crocus with bright yellow coloured flowers.